Our monthly newsletter (not published in July, August, and November), En Direct presents a round-up of all the news from Bourgogne. There are 33 Bourgogne Grands Crus wines. Some are the stuff of legend, such as Romanée Conti or Bâtard-Montrachet. Others are more accessible, like Chablis Grand Cru or Clos de Vougeot. But all have one thing in common: They represent the essence of the Climats of Bourgogne and symbolize 2,000 years of winemaking history. Now you can share in this priceless heritage. The Ecole des vins de Bourgogne is offering a single training session per year to explore these 33 outstanding appellations, including the rarest of them. “The Ultimate Bourgogne Wine Tasting: The 33 Grands Crus” is run in English by two experts, one in tasting, the other in geology. The program includes reading the landscape in the field, estate visits, and commented tasting sessions, which together will provide a unique insight into these celebrated wines. These three days combine learning with pleasure. And as an additional treat, participants will be invited to the exclusive Paulée of the Musique & Vins Festival on Friday 28 June at the Château de Meursault! 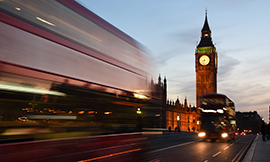 Dates: 27 to 29 June 2019 (plus an introductory evening on 26 June). Registration and program: on line or by email. For the third edition of the trade show, the format has been revised and expanded, with 84 Bourgogne producers showcasing their wines. 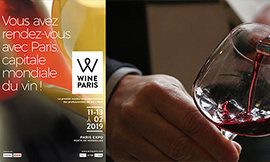 The Wine Paris trade show has published the list of exhibitors who will present their wines from 11 to 13 February in Paris. Some 2,000 producers, estates, négociants and wine stores have signed up for the event. 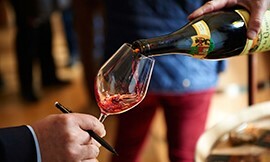 Among them are 84 representatives of Bourgogne, a significant increase on the 2018 edition, which went under the name of VinoVision. The level of participation underlines the growing appeal of this international trade event. Wine Paris is exclusively reserved for wine industry professionals, and features numerous tastings, conferences, and masterclasses. The Bourgogne Wine Board (BIVB) is staging two masterclasses: One on the Climats, and a second on lesser-known Bourgogne wines. Further information will be available on the Wine Paris site during January. For the list of participants, click here and to register here. 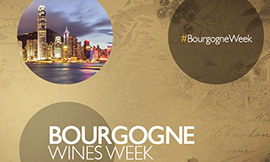 From 25 February to 1 March, Hong Kong will be flying the flag for Bourgogne wines. The Bourgogne Wine Board (BIVB) initiated this promotion and encourages all stakeholders in the market to get involved and organize events, such as dinners with Bourgogne winemakers, tastings, and restaurant promotions. All these events will be listed and widely promoted in BIVB communication, especially on the dedicated website www.bourgogneweek-hk.com (online from mid-February). Highly anticipated after its good reception during the Bourgogne Week London, the 2017 vintage will thus be making its first steps into Asia. Besides the creation of a dedicated website, the visibility of these operations will be boosted on social media via the hashtag #BourgogneWeek. Follow Bourgogne wines (Facebook, Twitter, Instagram, LinkedIn) and Chablis (Twitter and Instagram). Don’t miss out on any upcoming events involving Bourgogne wines and their producers. The BIVB and the Bourgogne ODG are inviting the press to a lunch at the Côte d'Or restaurant in Saulieu (part of the Bernard Loiseau Group) to discover the first vintage of Bourgogne Côte-d’Or wines through an exceptional tasting. ... and this number is 84! It’s a key question - how many AOC wines are there in the Bourgogne winegrowing region? And the correct answer is… 84! 7 + 44 + 33 makes a total of 84 AOCs - it all adds up! But what about the Premier Cru appellations? The Premier Crus refer to particular Climats within each Village AOC that are noted for their unique characteristics. They are not AOCs per se because they don’t have a particular specification. They are what we refer to as Bourgogne wines with an additional geographical denomination. The same applies to Bourgogne and the Mâcon appellations with additional geographical denominations, such as Bourgogne Hautes Côtes de Nuits, Bourgogne Côte Chalonnaise, Bourgogne Côtes d’Auxerre, Mâcon-Lugny, Mâcon-Péronne, etc. They are covered by the Bourgogne and Mâcon AOC specifications. 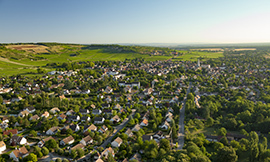 Another potential source of confusion is the Chablis Grand Cru appellation, which is unique in that it covers seven additional geographical denominations, namely the Climats where it is produced: Blanchot, Bougros, Les Clos, Grenouilles, Preuses, Valmur, and Vaudésir. So, in fact, there’s just one Chablis Grand Cru and not seven, as some might claim. Click here for a full list of appellations and all the latest figures relating to the Bourgogne winegrowing region. They say that Givry was the favorite wine of King Henry IV. One of the five jewels of the Côte Chalonnaise, the Givry AOC is made in the villages of Givry, Dracy-le-Fort, and Jambles. This little paradise for vines was awarded its AOC in 1946, clustered around a fortified settlement established in the Middle Ages. Jean-Pierre Renard, expert trainer at the École des Vins de Bourgogne, will introduce you to the geographical and geological specifics of the Givry appellation. For Véronique Drouhin, enologist at Joseph Drouhin, the Givry appellation now offers wines that can easily be described as elegant, far from their former “rustic” reputation. Easy drinking, they also offer excellent value for money and drinking pleasure, making them favorites for restaurant professionals around the world. The 44th Bourgogne Village appellation, created in 2017, Vézelay invites you to an event rich with fresh content. Like a mid-winter break, the annual Saint-Vincent Tournante celebration marks the return of longer days and the rebirth of the vines. 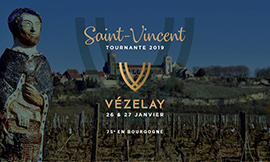 In 2019, for the first time in its history, the event will be hosted by the town of Vézelay on 26 and 27 January. It will provide the chance for this UNESCO heritage site to celebrate its recent promotion to the status of a Village appellation. After Prissé in the Mâconnais, it’s the turn of Vézelay in the Grand Auxerrois to inaugurate the new winegrowing year. And the winemakers of Vézelay have seized this opportunity to introduce wine lovers to their appellation. Festivities begin at 7:30am on Saturday 26 January with the parade of the Confréries, whereby winegrowers from all the winegrowing villages across the Bourgogne region walk through the vines and the village carrying their patron saint and banners, until they reach the famous basilica of Vézelay. Given the huge space offered here, this will be the first time that all 80 winegrower brotherhoods will be able to attend mass in the same place at the same time. Tasting cellars will be open from 11am on the Saturday and 10am on Sunday. Visitors will be able to taste the wines of the Vézelay appellation from all the producing communes. Tasting kits will be available on site for €18, including a glass, a glass holder, seven tasting tickets, and the official map. To find out more, go to the webpage for the 75th Saint-Vincent Tournante de Bourgogne in Vézelay (in French only). St. Vincent’s day falls on 22 January, but the celebrations are traditionally held on the last weekend in January. This has been the case since 1938 when the Confrérie des Chevaliers du Tastevin created the Saint-Vincent Tournante de Bourgogne event. A major event open to the public to run on Sunday 14 April. 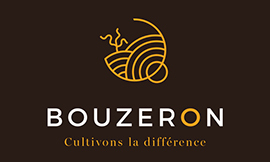 Following on from the event held for professionals in November 2018, the Bouzeron AOC is continuing to celebrate its 20th anniversary, this time with an event open to the general public. The winemakers of the appellation are inviting wine lovers to join them on a unique gourmet trail. Throughout the day, groups will make their way through the vines to discover the world of the winemaker and the Aligoté varietal, interspersed with gourmet breaks. This is the perfect opportunity to discover these sumptuous landscapes. At the end of the trail, which lasts around two hours, walkers will be met with a tasting of food and wine pairings, rich in different flavors. The fruit of a great deal of hard work on the part of the entire appellation. This map was designed to allow the winemakers and winegrowers of the Saint-Véran AOC to spread the word about their terroir. This visual tool underpins out their presentations to customers, journalists, sommeliers, and traders. 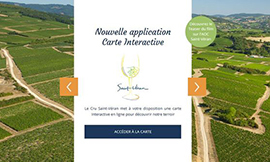 This interactive map is now available to all, at www.saint-veran-bourgogne.com or by clicking here. Click here for the full press release (in French only).